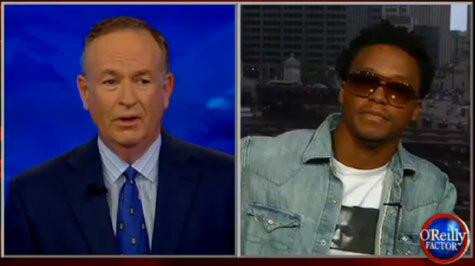 Lupe Fiasco going up against Bill O’Reilly to discuss Lupe’s comments about President Obama being a “Terrorist” was pretty much boring TV. I will give credit that Lupe was not shaken and many people in that same situation have been flustered by the style of O’Reilly. Lupe had one major slip up in his defense of his comments; he stated the reason we went into Afghanistan was to find Osama Bin Laden. To say that the United States presence in Afghanistan was solely about Bin Laden is just not true. O’Reilly corrected Lupe and explained the U.S. went to Afghanistan for more than just Bin Laden, it was about taking away a safe haven for Al-Qaeda as well removing the ruling government at that time; the Taliban. Who were providing Al-Qaeda that sanctuary. If you are going to show up to battle Bill O’Reilly you better have your facts right; and it’s not about protecting yourself from being called out but it is also to call O’Reilly out when SPINS the truth. Also, as much as I hate to say it O’Reilly made a very fair point in saying that Lupe should be careful when making controversial statements like calling the president a terrorist. Lupe Fiasco has a lot of young fans who will take his comments as the absolute truth without doing the proper research and that is dangerous. I said the same thing when Kanye West said George Bush doesn’t care about Black people, all in all it’s a reckless comment in my opinion and we need stars need to be more careful in making political statements. As for O’Reilly painting all of Lupe Fiasco fans as not being capable of understanding politics with such a broad paint brush is just as reckless in all honesty… It’s funny how the ‘Political Ignorance’ of the Tea Party is celebrated among the GOP but in this case for O’Reilly it’s a deficiency for the Black community. Of course O’Reilly never directly pointed to the Black community but we all know what he meant when he talks about Lupe Fiasco fans. If there is something to be said, “It’s On Broadway” to step up and say it! Militant Mondays – Former Marlins Manager Edwin Rodriguez Quits! !